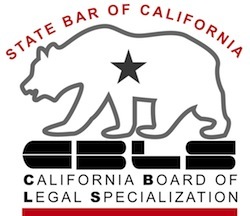 A California homeowner who negotiated a short sale of her home that left her personally liable to the lender for the shortage scored an appeals court victory expanding our understanding of the anti deficiency provisions of California law. Coker v. J.P.Morgan Chase, decided by the 4th Appellate District court, barred enforcement of the seller’s agreement to pay the bank the $116,000 difference between the short sale price and the loan balance. Because the loan had been used to buy the house in the first instance, the decades-old protections for homebuyers in California law known as the anti deficiency statute protected her from the lender’s post sale collection action. The court held that CCP 580(b) protected the borrower, not just in a foreclosure situation, but also when the sale of the home was a short sale. Importantly, the court found that the anti deficiency provisions could not be waived. That is, the agreement the homeowner signed agreeing to pay the balance to the lender after the short sale wasn’t enforceable. That agreement was an impermissible attempt to undermine long standing protections for homebuyers. Coker adds to the protections available to borrowers who took out loans secured by their California real property and subsequently found they couldn’t pay. The one action rule in California provides that any creditor who uses the power of sale in a deed of trust on real property gives up the right to sue for any deficiency. That’s California Code of Civil Procedure 580(d). The anti deficiency statutes provide that a lender who makes a loan secured only by property purchased as the debtor’s residence can look only to the property offered as security for repayment of their loan. CCP 580(b). Even a junior lien that gets cut off by a foreclosure sale of the senior lien can’t sue the borrower if the loan was used to buy the home. The short sale provisions added to the Code of Civil Procedure in 2011 now provide that a mortgage lender who consents to a short sale waives any claim to pursue the seller for the balance. CCP 580(e). Had that statute been in effect when Ms. Coker sold her house short, this case could not have been brought. But the Coker sale closed before CCP 580(e) was enacted. The Coker decision will apply to a narrow group of homeowners who managed a short sale prior to the enactment of CCP580(e). It makes unenforceable all those agreements to pay on the loan despite the lender’s consent to the short sale, if the loan in question was used to buy the home for the debtor’s use in the first place. I just wonder what role of Ms. Coker’s realtor had in the short sale. Did the realtor fan the fears of foreclosure sufficiently that the seller, who was getting nothing out of the sale, agreed to pay an additional $116,000 for the privilege? What could possibly have made this look like a good deal to Ms. Coker at the time? Unaffected by the Coker decision are the sellers whose loan was a refinance or who bought the property not to be their residence. Those deficiency agreements, sadly, remain enforceable. Also still enforceable are non-purchase money junior liens or HELOC’s where the lien on the property was destroyed by a foreclosure by a senior lien holder. Those cut off junior notes are not affected by this decision. We expect that suits on cut off junior liens will crowd California courts for years to come.